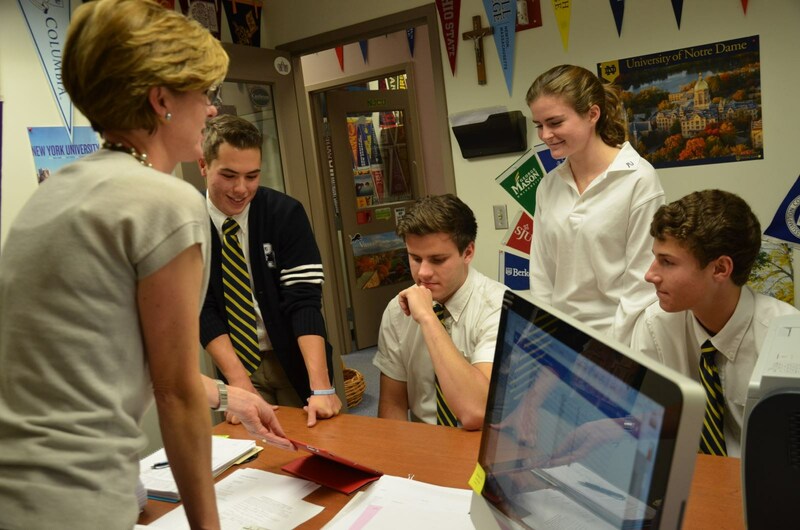 Pope John XXIII‘s guidance department complements the school’s commitment to developing the total individual through academic programs and extracurricular activities. The department members not only offer students social and academic guidance but also provide information and resources that are essential to the student’s self-assessment and realization of goals. April 16, 2019, 7-8:30 p.m. If your son/daughter has not set up an account with College Board, click “Sign Up”, then “I am a Student” to create an account. Make sure you use the exact name and email address that your son/daughter recorded on their PSAT answer sheet. Scores will be emailed to the students on or after Dec. 12. In addition, students who took the October PSAT/NMSQT should connect their College Board and Khan Academy accounts. That way, when they get their PSAT/NMSQT scores on Dec. 12, they can log in to Khan Academy and get a personalized SAT practice plan. Khan Academy is free SAT tutoring offered through CollegeBoard. ﻿Choose to share your scores. Sign in to your College Board account and click Send. For information on Summer Programs please login to Naviance and click the link for “Enrichment Programs” under the “Colleges” tab.